Mr. Alan H.H. Cheung holds a Bachelor of Commerce degree (major in International Business) from University of Victoria in Canada, a Master of Professional Accounting degree from The Open University of Hong Kong and a Master of Finance in Taxation degree from Jinan University in Guangzhou, China. Prior to joining Wing United CPA Limited as Principal of Restructuring Services, Alan gained his experience through working at the Corporate Restructuring and Insolvency Department of Kennic L. H. Lui & Co., Tax Services Department of Ernst & Young and the head of the Corporate Restructuring and Insolvency Department of YWC & Partners and Libra CPA Limited. He specializes in insolvency assignments, such as companies winding-ups and individual voluntary arrangements, as well as Hong Kong tax, in both compliance and advisory. Alan has more than 15 years of hands-on experience in insolvency matters and more than 3 years of hands-on experience in dealing with the Hong Kong Inland Revenue Department and mainland tax authorities. 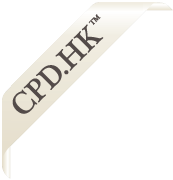 Alan is also a member of Hong Kong Institute of Certified Public Accountants (“HKICPA”), The Taxation Institute of Hong Kong, Restructuring and Insolvency Faculty of the HKICPA and INSOL International, an international association of restructuring, insolvency and bankruptcy professionals. He is also award by the HKICPA the Specialist Designation in Insolvency, in which there are only around 65 accountants awarded out of the 40,000 plus members of the HKICPA.